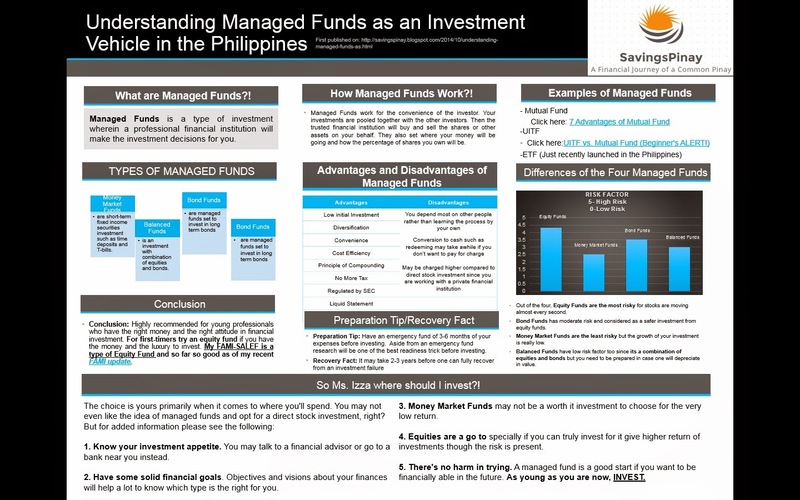 It’s been a long time since I gave free infographic to you guys but here it is now, the Infographic Version of Understanding Managed Funds as an Investment Vehicle in the Philippines. To read the full blog posts click Understanding Managed Funds as an Investment Vehicle in the Philippines which gives you a great insight on what managed fund is all about. You may have heard about Mutual Fund, UITF and ETF- these are what we call managed funds. The whole blog post will kick start your investing journey!